Adoption at the Movies takes a break from the cinema this week to visit the bookstore. Amanda H.L. Transue-Woolston (founder of The Lost Daughters and The Declassified Adoptee websites) has just published a meaningful book; I want to share it with you. Conversation creates understanding. Understanding creates interpersonal health. Again… Conversation can bring about understanding. Understanding creates interpersonal health. That’s why I write Adoption at the Movies. That’s why the Lost Daughters write. That’s why people read stuff like this. We are all taking steps in the right direction in an emotionally loaded situation, forgoing polarizing polemics in favor of insightful, honest, and considered dialogue. And I think this is the road that will lead to healing for those who have been hurt through adoption, and to better experiences for the people yet to be adopted. Adoptees can find healing and community; adoptive parents can make better choices, social workers like me can learn to be more sensitive. This is a good book, and I hope it's joined by many others like it. 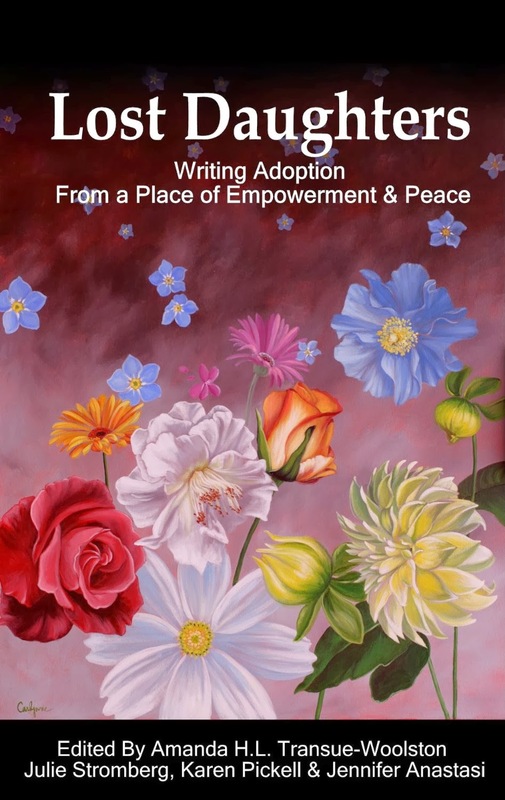 As one of the authors writes, “The more we can question, explore and understand the experience, the more opportunity we will have to shape the future of adoption.” Lost Daughters: Writing Adoption from a Place of Empowerment and Peace is an invitation to join in the shaping. Lost Daughters can be purchased from Amazon through this link. By the way, I just added a way for you to subscribe for free to Adoption at the Movies by email. A new review comes out every Tuesday - make sure to catch them all! Sign up today on the top-left corner of the page! And if you're new here, check out all of our adoption movie reviews!